Photo: Steve Ziegler putts on his final hole at the US Amateur. 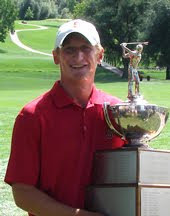 The Stanford star in the 2009 US Amateur was Steve Ziegler who lost to eventual champion Beyong-Hun An in the quarterfinals in an event that included 6 Stanford golfers: Steve Ziegler, David Chung, Andrew Yun, Joseph Bramlett, Jordan Cox and recent grad Dodge Kemmer. The event was played at Southern Hills CC in Tulsa, Oklahoma, with nearby Cedar Ridge CC being used as well for the first two rounds of qualifying for the field of 312 players trying to get into the 64-player match play portion of the event to determine the champion. Steve Ziegler, Stanford's 2nd team All-American junior, lost in the quarterfinals on the 21st hole to 17-year old South Korean Byeong-Hun An after he fought back from an early 3-down deficit. For the 2nd match in a row Steve won the last two holes to square the match. The strong US Amateur showing came on the heels of a solid summer which included reaching the quarterfinals in the British Amateur in June. Previous match coverage can be found below. AFTER THE 2ND DAY OF MATCH PLAY - Ziegler moves on! Steve Ziegler, Stanford's 2nd team All-American junior, won both his 2nd and 3rd round matches in dramatic fashion to move onto the quarterfinals against 17 year old South Korean Byeong-Hun An. In the 2nd round match vs Will Strickler, Steve had an early 3-up lead and had to hold on down the stretch on to win 1-up. So as he did earlier in the summer at the British Amateur, Steve is playing in the quarterfinals of a 2nd national amateur championship. In the afternoon 3rd round match vs Dan Woltman, Ziegler played from behind all day and was 2-down with 2 to play. After winning 17 with a birdie 4, Steve birdied the very difficult par-4 460 yard dogleg right finishing hole to tie the match. In sudden death, both players parred the first 3 holes and Steve won it with another par 4 on the 22nd hole. Dodge Kemmer lost his 2nd round match 3 & 2 to the same player who defeated David Chung, Floridian Connor Arendell. Steve Ziegler and Dodge Kemmer both handily won their first round matches by 5 & 3 an 6 & 5 scores respectively. David Chung lost his first round match 2 & 1 to Arendell. Here are the complete first round match results. See results below for previous Cardinal results. 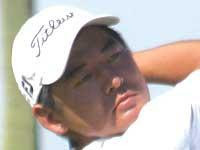 Missing the cut by one stroke was Joseph Bramlett after rounds of 76-73 while Andrew Yun missed by 2 shots at 75-75. Jordan Cox also missed the cut with his 77-76. The tough courses combined with windy conditions led to high first round scoring with only 5 players in the field breaking par 70. First round scores were Ziegler 73 (tied for 42nd), Chung 74 (tied for 62nd), Yun 75, Bramlett and Kemmer at 76 and Cox at 77. It will take solid rounds from all Cardinal players to qualify for match play. Complete scores and the first round story is included here --- http://www.usamateur.org/news/lategamer824.html. Three Stanford golfers, led by Dodge Kemmer, swept the top 3 spots against a strong field at the Scratch Players Championship held in Oklahoma, while a fourth Cardinal finished tied for 7th. Dodge Kemmer ('09) had rounds of 62-62-69-67 for a 16-under 264 total to win by 4 shots over teammates Sihwan Kim and David Chung. Sihwan had rounds of 65-66-68-69 for his 12-under 268 and David shot 67-66-66-69 to tie for 2nd also at 12-under 268. Andrew Yun tied for 7th at 4-under 276 with rounds of 69-74-67-66, while senior Jordan Cox tied for 21st with rounds of 71-69-69-71. Hale Irwin didn’t do it, and neither did Steve Jones, Dale Douglass, Bob Byman or Jonathan Kaye. They were all well-known Colorado golf standouts, but none of them accomplished what Broomfield’s Steve Ziegler did this year. The Stanford golfer, who plays out of The Ranch Country Club, on Sunday became the first player since 1985 to win the CGA Stroke Play and CGA Match Play in the same calendar year. 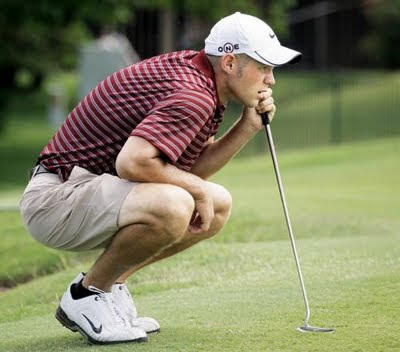 Ziegler, who wasn’t even born when Brandt Jobe pulled off his sweep of the CGA’s top two tournaments 24 years ago, claimed the Stroke Play title at Lakewood Country Club on Sunday, roughly five weeks after winning the Match Play at Bear Creek Golf Club. “It’s one of the greatest moments I’ve ever had on a golf course,” the 20-year-old said. Winning both tournaments in the same year “means a lot. I thought about it even before the Match Play. It was a broad, grand goal, and it’s not easy to accomplish. It says a lot that the last player to do it is a mainstay on the PGA Tour. Ziegler, a junior-to-be at Stanford, shot back-to-back 4-under-par 67s on the weekend for an 11-under-par 273 total, which was good for a three-shot margin over former University of Colorado golfer Tom Gempel. Gempel, the Pinery Country Club player who also finished second to Ziegler in the Match Play last month, closed with a 69. Click here to read the full article in the Colorado Golf Journal. So far we know of six Stanford players who have qualified for this year's US Amateur to be played August 24-30 at Southern Hills Country Club in Tulsa, Oklahoma, while Sihwan Kim is a first alternate. The latest qualifer on August 10 was incoming freshman Andrew Yun from Chandler Arizona who won a playoff to finish 2nd with a 36-hole total of 136 at Tucson National GC. The following qualifying rounds include July 27 qualifying dates from around the country. First, great news that not only is Joseph Bramlett playing again after his long bout with injury, but he finished 2nd at the Peninsula Golf & Country Club in San Mateo, CA, with a 138 total behind the leader Joseph Cox who fired a 137. Head Coach Conrad Ray did not qualify at this same venue. Other qualifiers included Steve Ziegler who qualified 2nd in Ft. Collins, Colorado, with a 136 total, David Chung also finishing 2nd with a 140 total in Hamilton, NY and recent grad Dodge Kemmer leading qualifiers in Wichita, Kansas, with his 134 total. Sihwan Kim is first alternate at the Hamilton, NY qualifier with a 142 total. We have not yet heard of results for other Stanford players who tried to qualify. We'll be closely following the action at Southern Hills when the US Amateur gets underway. "In first-round match play, the most dramatic moment of the day came on the 18th hole of the match between Andrew Yun, an incoming freshman at Stanford, and Zach Barlow, a senior at Illinois. With Barlow 1 up, Yun needed to win the 18th to extend the match. When his third shot on the par 5, 570-yard hole ended up over the green 40 feet from the flagstick, Barlow – whose third shot was almost the same distance from the hole but on the green – appeared ready to close the match with two putts. Yun changed Barlow’s odds, though, holing his 40-foot chip shot for birdie. Facing the prospect of extra holes, Barlow stepped up to his putt and stroked it in the center of the cup to match Yun’s birdie, halve the hole and move into the quarterfinals." Reporting below summarizes the stroke play portion of the championship. Andrew Yun, incoming freshman from Chandler, Arizona, moves in the "Sweet Sixteen" match play competition at the 107th Western Amateur played at Lake Forest, Illinois. Andrew finished tied for 6th, two shots behind the medalist with rounds of 67-74-70-71. "Symbolic of golf’s global nature and its regional strength, this year’s Sweet 16 consists of five international players representing four different nations; four players from three different Texas universities, and 11 players from nine different states, including four from the Midwest. The group also includes two left-handers." 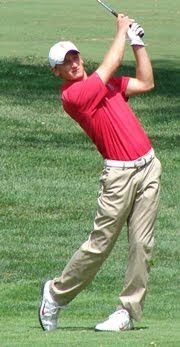 For complete results and to follow the action as Andrew moves into match play go to www.thewesternamateur.com/. Four other Stanford golfers were competing in this elite field of amateurs including Sihwan Kim, David Chung, Steve Ziegler and Wilson Bowen. Sihwan finished tied for 36th with rounds of 69-70-78-78 to miss the cut by 8 strokes, while David Chung had rounds of 74-73-77-78. Steve Ziegler missed the 36 hole cut as did Wilson Bowen. Incoming freshman Andrew Yun fired a course record tying 65 in his final round to move into 5th place at the 43rd Pacific Coast Amateur Championship at the Gallery Golf Club in Tucson, AZ. Playing against a strong field, Andrew was 13-under for the championship with rounds of 70-69-71-65. Andrew's hole-by-hole results can be found here: http://www.pacificcoastamateur.com/Scoring/2009/09PCGAScoring.htm. His final round 65 included a front nine 30 with 6 birdies and no bogies, followed by another 2 birdies with his sole bogey for a 35 on the back nine.